Yes our first ever Charity Fundraising workshop where we share best practices kicks off on 6 September. There has been a huge demand for it by many who have tried very hard to demystify the donor world. This time our training gives African women something very simplified and something we know works. The charity sector is dominated by huge international organisations and they have resources to do whatever they want. But we also have the passion to do whatever we want. We want it to work for those with passion for Charity work and so we use the knowledge and intelligence we have. We start our training with 20 and see how we grow here in the UK. Who said only big organisations should visible? Yes I was there to witness the launch of Ruth Mutanda charity to stop domestic violence.When she asked me to advise her on her organisation,I knew she had everything but just that one spark to set what she herself had created. I am so honoured to say Ruth for women is a charity I was honoured to advise and render advice and support. Young women who are trying to set up projects to develop communities remain at center of what Muzvare Betty Makoni wants to do and achieve. Her first time was when she met Fayi Tsikwa whilst she was doing her fundraiser for her project at University. Thereafter they partnered with Fayi setting up her project called the Fundraiser where she wants to train African young people on how to fundraise with the latest strategies going round the world. Her first project is in Zimbabwe where she will train Girl Child Network Zimbabwe and other community based organisations on community based resource mobilisation. Muzvare Betty Makoni who is a fundraiser and trainer in fundraising managed to share some training methodologies with Fayi and to help her come up with a unique project. This is still work in project and will be updated on specific results. 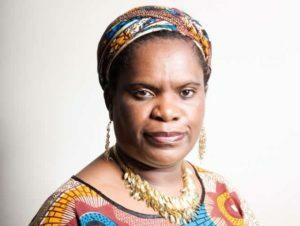 Muzvare Betty Makoni spends her time with girls at a Catholic school in Hackney, imparting skills and knowledge on leadership. She uses empowerment model to identify leadership skills in them and then nurture them. After some few sessions the girls are now spearheading the UN Day of the girl child. In the next coming months Muzvare Betty Makoni will be taking year 9 and 10 through leadership training. Muzvare Betty Makoni is an expert trainer in transforming young girls from victims into leaders. Her approach is Appreciate Inquiry and brings out the best in girls. We need women leaders tomorrow, then we must work very hard with girls.